Although I have known about the color wheel on some level since I was a child, I really wasn’t made aware of it as resource until I was in a sewing class as an adult. About 15 years ago I took a class from well-known local teacher Connie Pomering. We were paper-piecing a New York beauty with lots of points and curves. This was a labor-intensive undertaking, and at some point I think we figured out that piecing one quadrant of a block took us roughly three to four hours. Needless to say, with that kind of time invested one wants to make sure that she is happy with her color choices. The idea presented in class was to make sure that the colors were chosen to best set off the design. Connie suggested that if we had never worked with a color wheel that we might get one and try it for this quilt. As a school teacher, I have always tried to be an obedient student. So, I immediately went out into the store we were at and bought one (As if I needed an excuse to shop!). For the next couple of hours I used it to make color choices for the different sections I was piecing. Ironically, I never finished the quilt from this class. I made three block sections and set it aside where today it continues to languish with some of my other UFO’s. But this class started an intense interest and love for color theory and essentially changed the way I look at fabrics and put them together. So – the color wheel. And color theory. There are going to be those of you who may know a lot about color theory and say that it’s for the birds….that you prefer to do your own thing and work intuitively. Others of you may know very little about color theory and don’t know where to start. Color sensibility is completely personal and I believe there are no right or wrong combinations. Before we even begin to learn about accepted color theory we have an innate sense of color that we have developed by merely living on the earth and going about our daily business. You would have to be a complete hermit to avoid assimilating any color knowledge from your surroundings. Learning about color theory and how the color wheel “works” can only strengthen your color sense. I frequently liken it to cooking. I know which flavors I like together and in what amounts. However, that does not stop me from scouring cookbooks and looking up recipes to see how I can improve and change up those same combinations. Because I know a few basics I can experiment and see how I respond to those changes. 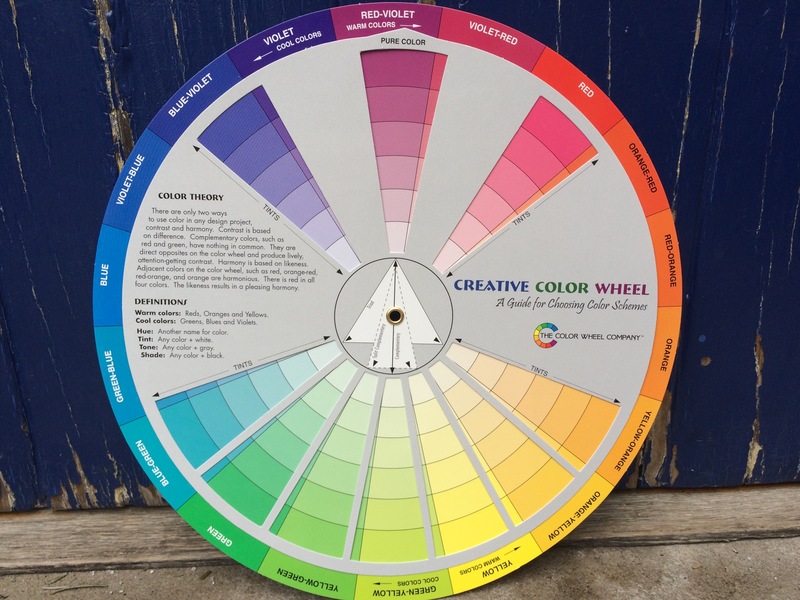 You can apply this same idea to using the color wheel and color theory. You don’t need to drag it out every time you are using a project! Just learn about the theory and take it from there. Knowing color theory will make your work better, even if you don’t ‘use’ it. In fact, you might even be applying some of it and not know! I started teaching color classes for quilters relatively soon after having taken Connie’s class. And I really can say that every time I teach it, I learn something new or see something in a different way. As artists and quilters, we need to allow ourselves the luxury of exploring color without the pressure of making a finished piece. If color theory is completely new to you, start by getting a book on the basics from your local library. If you’re more seasoned, take a look at some books that have been written expressly by textile artists or quilters about color. 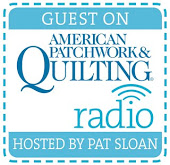 A few of my favorites of these are: Color Works by Deb Menz, Color Harmony by Weeks Ringle and Bill Kerr of Modern Quilt Studio, , and A Fiber Artist’s Guide to Color and Design by Heather Thomas. Most importantly, though, have fun! This may sound trite, but color really enriches our lives. Knowing more about it will not only make you a better quilter, but it will also spill into other areas of your life. You might find yourself making composed salads just to see the colors of the different vegetables separately, adding new colors to your wardrobe, or even re-doing the pillows on your living room couch! There’s no telling how far this might take you….